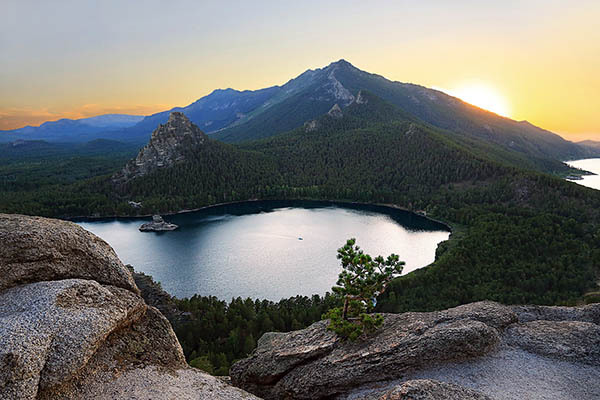 Halfway between the Kazakh cities of Astana and Kokshetau located a real paradise, hidden from prying eyes boundless steppes. 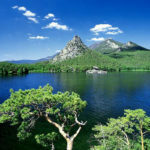 This hill, located in the northern part of the country, has long been a „Kazakh Switzerland“. And this epithet was chosen for a reason. Infinitely beautiful corner, carefully created and saved by nature, allows anyone to really take a break from the constant bustle. There are many stories that tell about the history of this area. 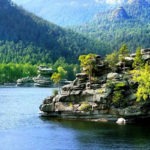 According to one of them, the Almighty, created the earth, gave every nation a variety of natural land: endless fields and meadows, crystal clear lakes, forests and so on. Kazakhs, who got only the endless steppe, very upset. He asked his creator to give people at least a small portion of natural prosperity. God heard his request. 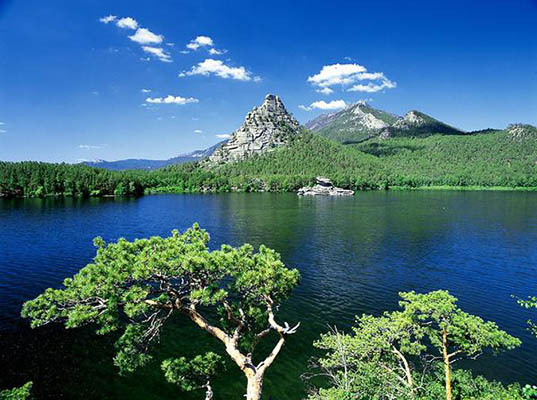 Dipping his hand into his bottomless korzhun, he drew out the remnants of the mountains, forests and lakes with crystal clear water. He carefully placed them in the area, making the expanse of desert into a picturesque oasis. 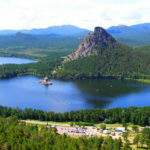 In the vast forests that grow in the foothills, Allah placed the great variety of animals, insects and birds that exist nowhere else in Kazakhstan. This legend confirms the results of numerous research expeditions. Zoologists and ornithologists were able to detect the complex Borovoye many rare species of living beings. 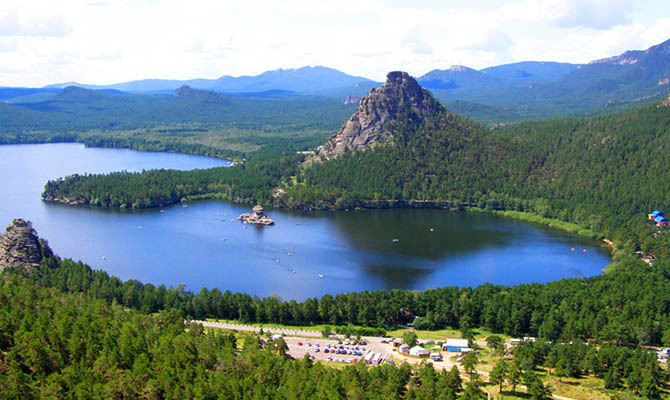 The highest point of this natural complex is the famous „Blue Mountain“, which is called Kokshetau. Next to this mountain is another peak – Burabay (translated it means „camel), the height of which reaches nearly seven hundred meters away. It offers a great view of the whole neighborhood. If you proceed in a southerly direction, you will soon find Shchukin hills. 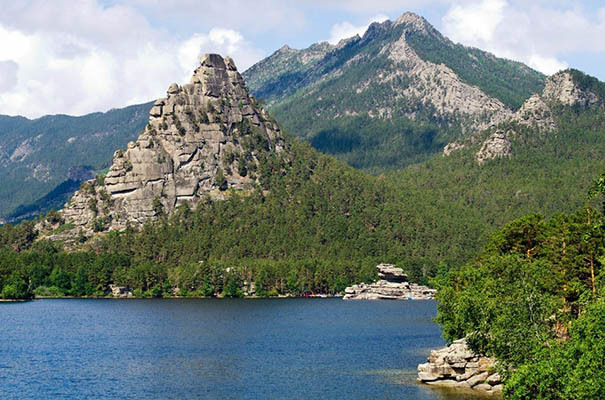 The highest point of this complex is Zheke Batyr ( „lone warrior“) – more than eight hundred meters above sea level. Big Borovoye and so on. 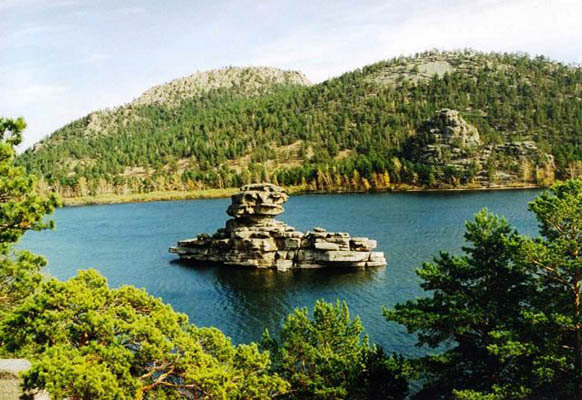 If you climb to the top of Kokshetau, it is easy to make out there still many small lakes scattered caring hand of the Creator in this natural oasis. 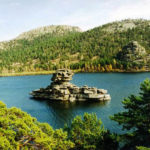 Fans of the truly unique natural creations can visit the famous Blue Lagoon, which is located on the river bearing the same name. Directly from the depths of the pond stands the massive rock, which is called the „Stone of Mystery.“ The contours of the rock is easy to recognize the ancient sphinx. With this mythical creature is related here is one very interesting legend. 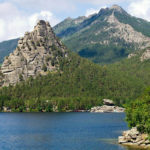 Many believe that, depending on the angle at which a person looks at this mountain-sphinx, it will be seen an old woman, a woman or a girl with long hair. In the vicinity of this rock is one more – Oak Zhetpes ( „Arrow, which will not reach“). 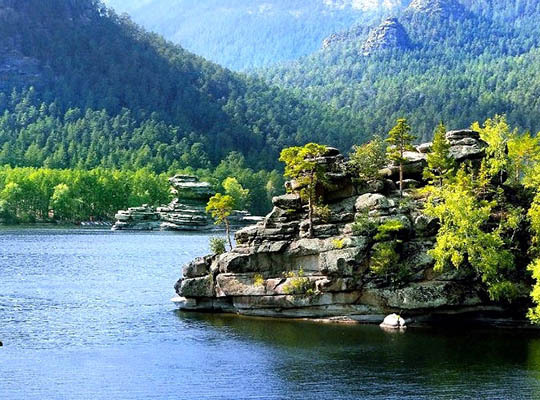 The upper part of the cliff is very much its shape is similar to the well-known over the elephant. Local authorities made sure that the guests and inhabitants of the country were able to fully enjoy your stay in Borovoye complex. Here it is actively developing a diverse tourist infrastructure, for example, numerous hotels, motels, private houses, shops, catering establishments and so on.